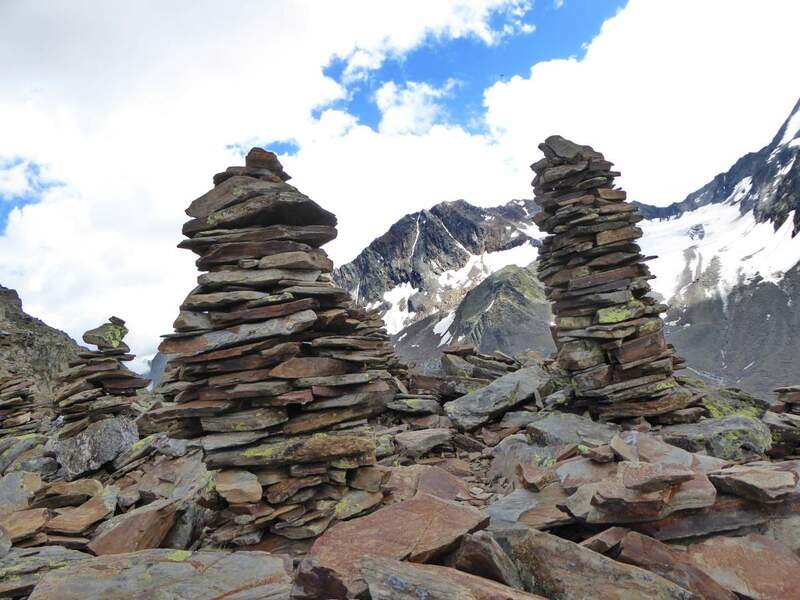 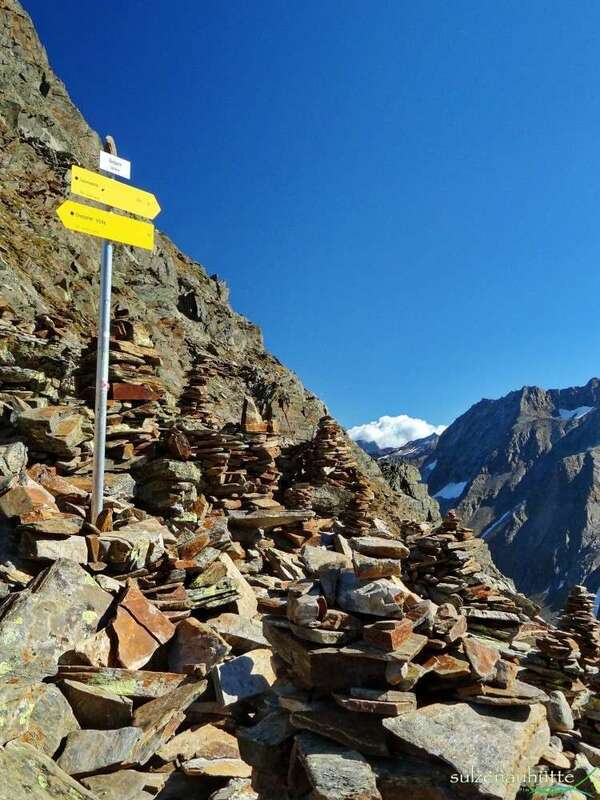 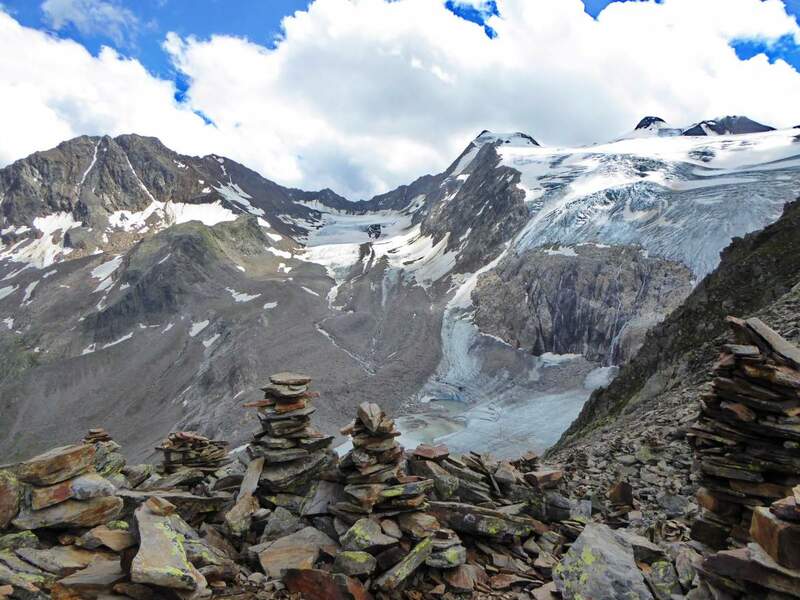 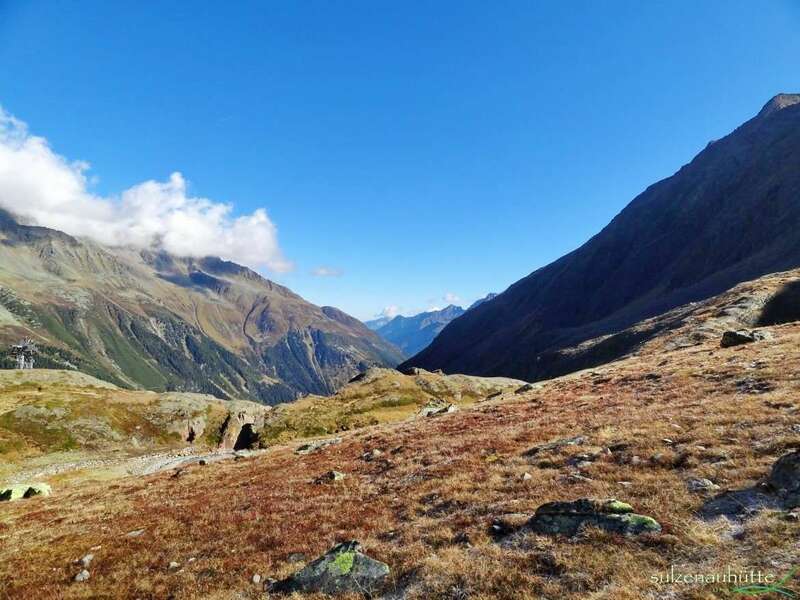 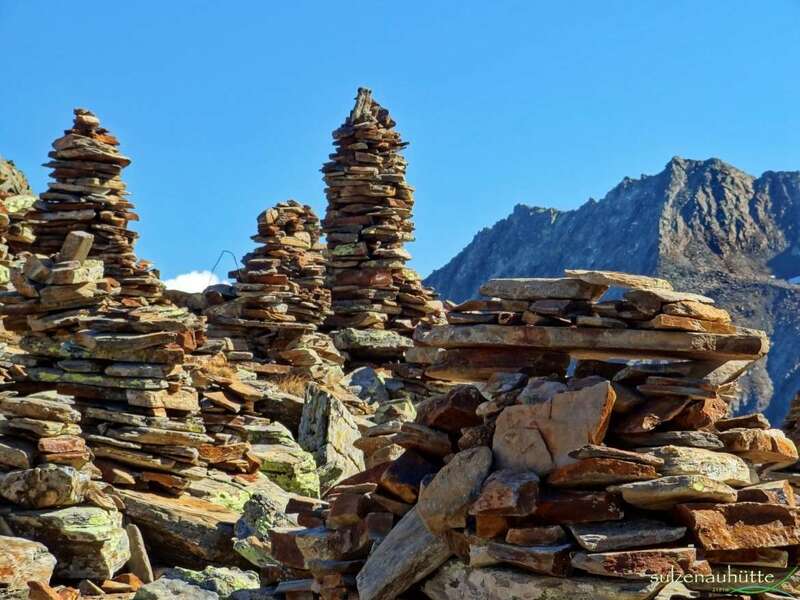 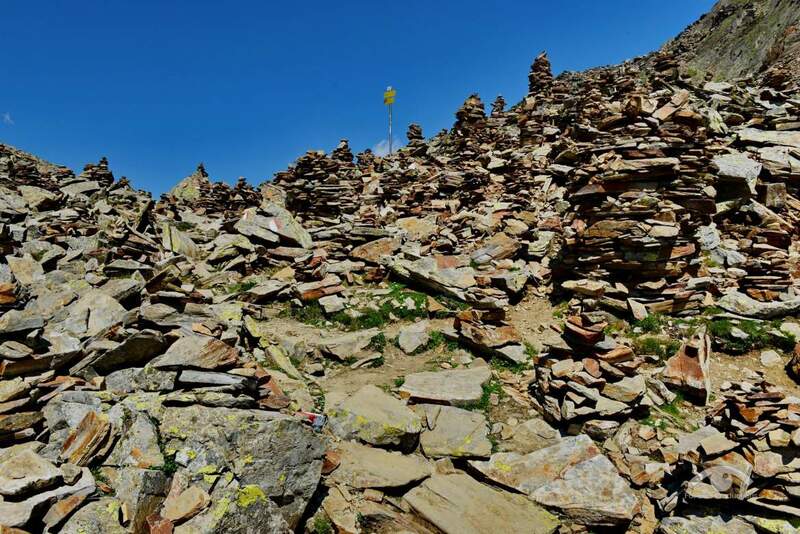 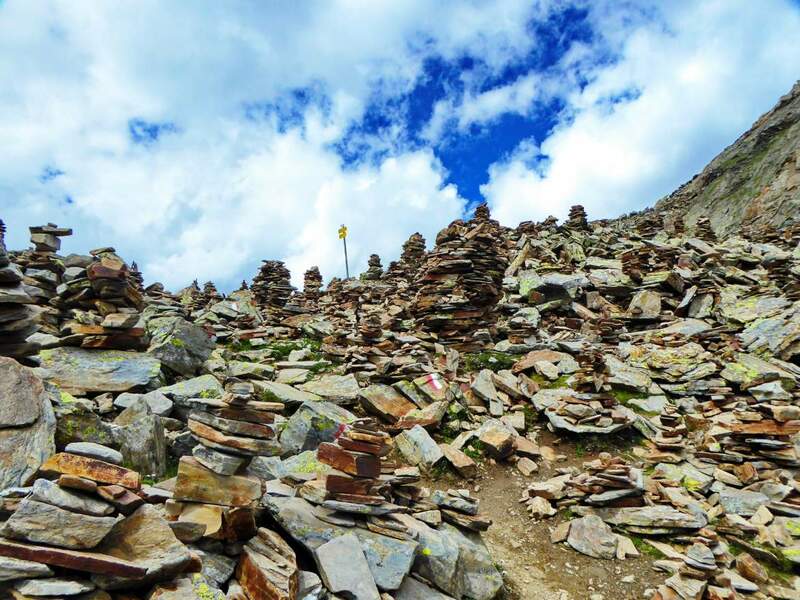 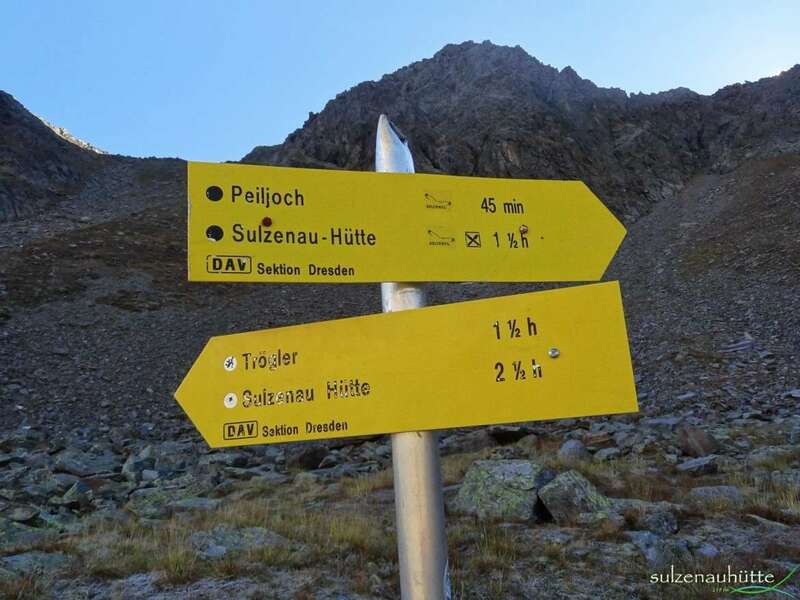 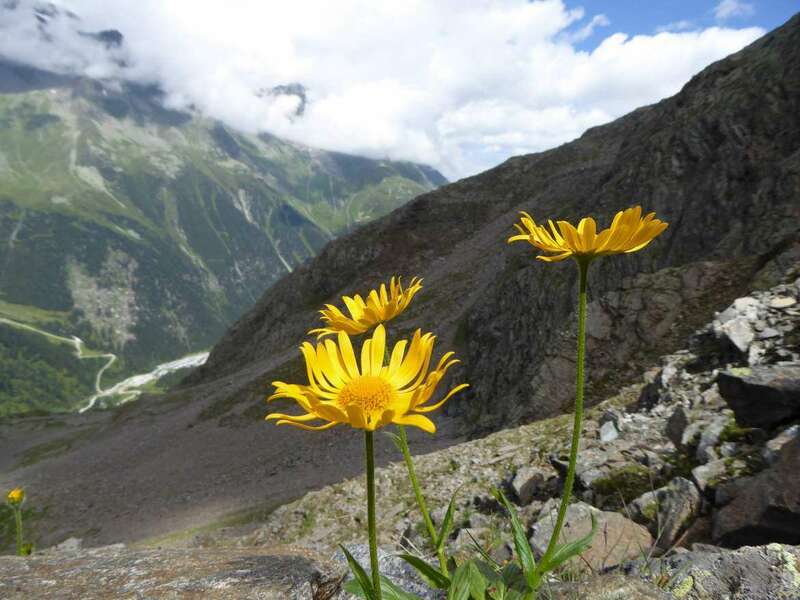 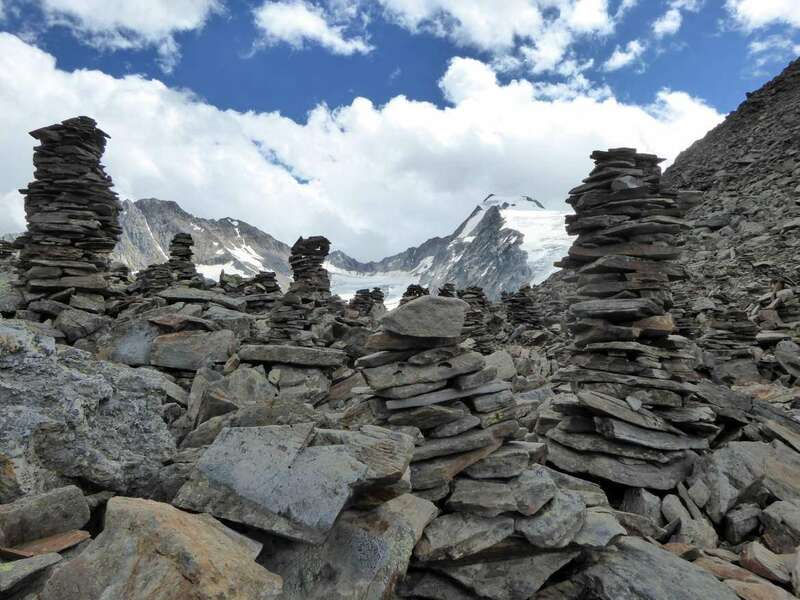 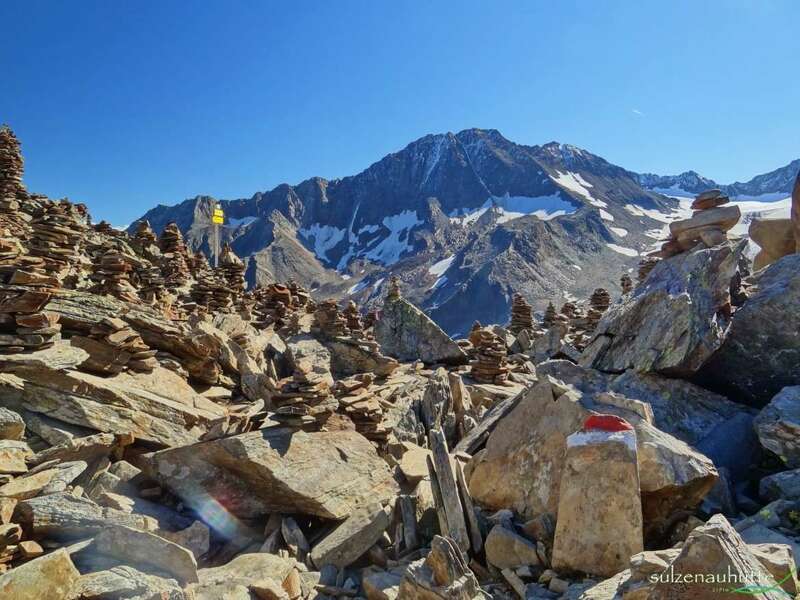 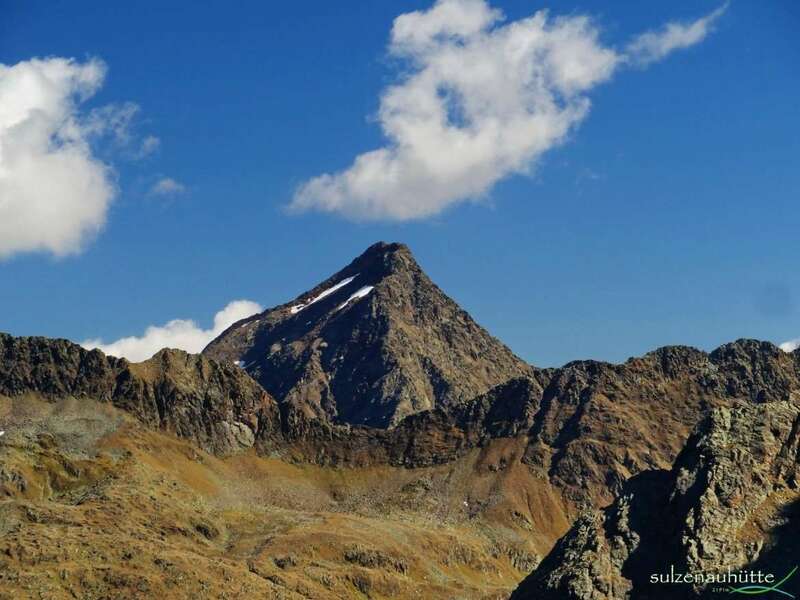 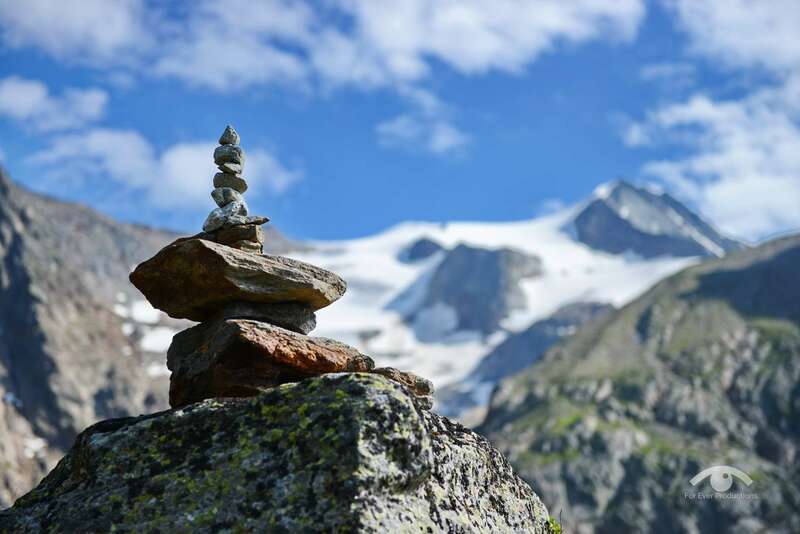 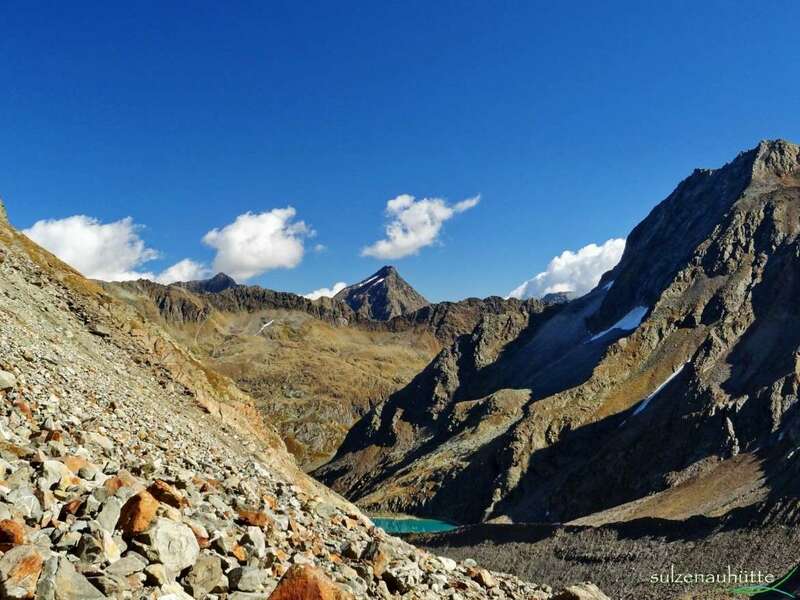 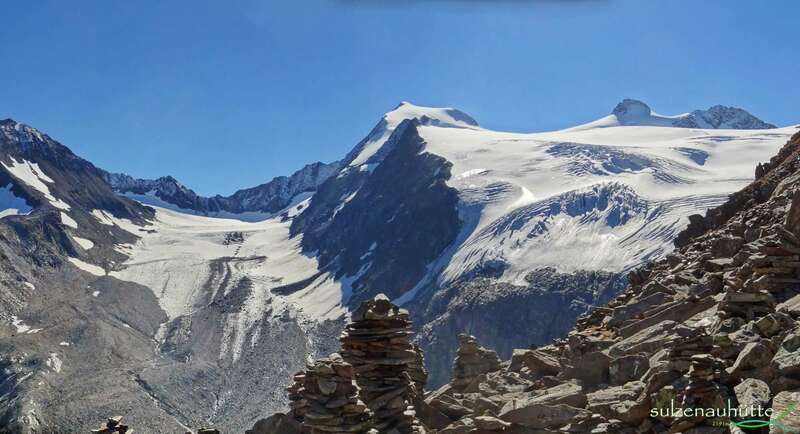 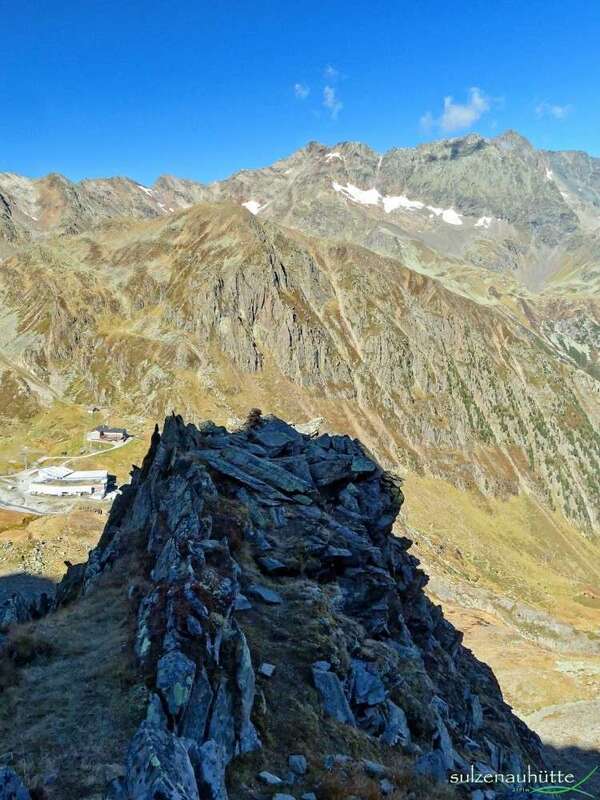 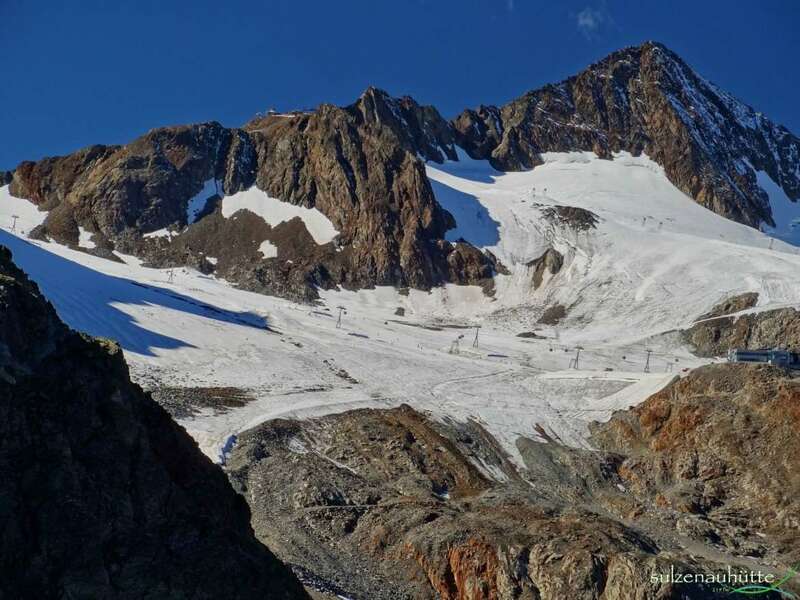 The trail to the Peiljoch is a part of the Stubai high trail and it leaves Sulzenauhütte in a south-westerly direction and follows the high valley. 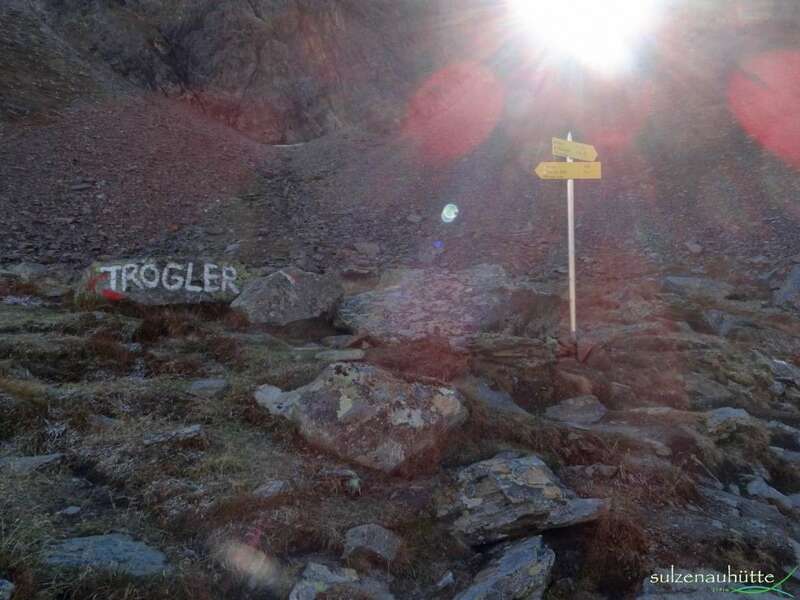 The trail forks in places to Trögler and Blue Lake, but we stay on the orographic left valley side. 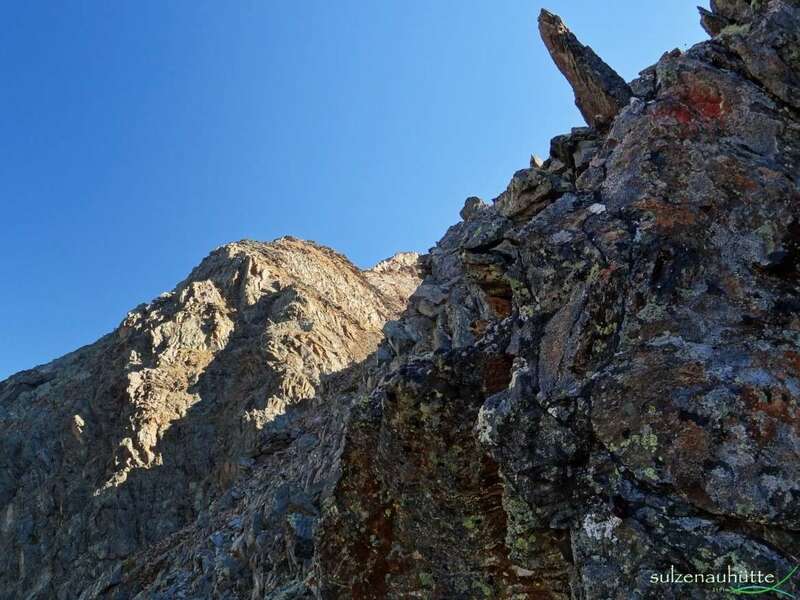 After approximately 40 minutes, we reach the most challenging point (traversing over steel footholds and fixed steel cables for approximately 50m). After this, it is again moderately steep in the landscape over the moraine of the Sulzenau glacier until the mountain saddle. 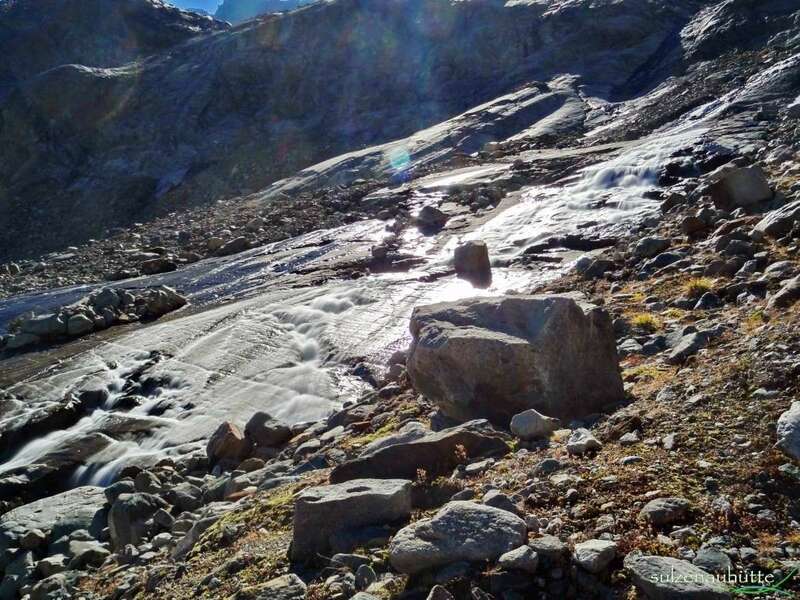 From here you can see the new accrued glacier lake, lake Sulzenau. 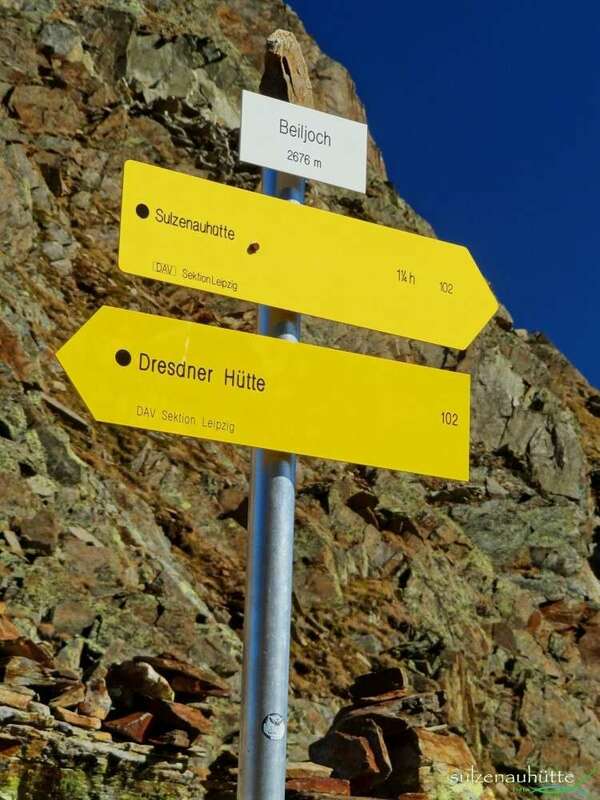 On the other side it is possible to descend to Dresdnerhütte. 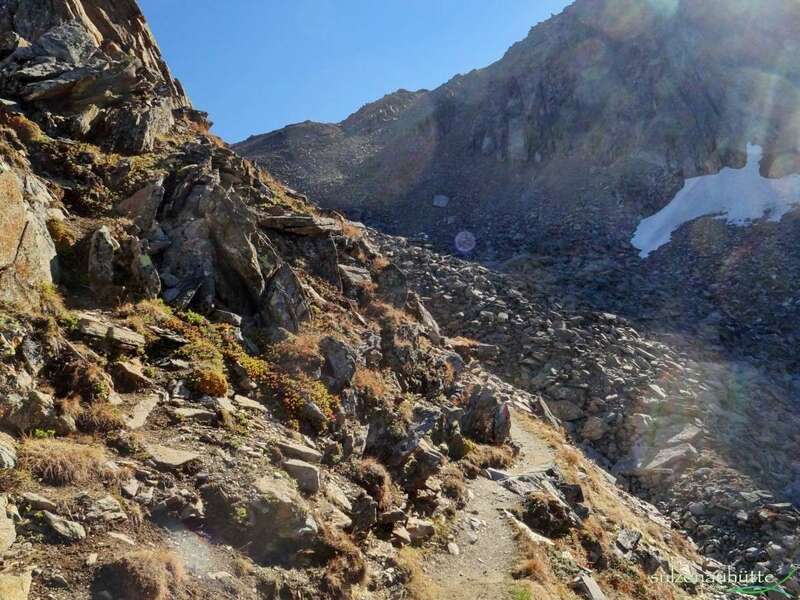 Extensive parts of that trail have been fixed with steel safety cables and footholds, to aid descent down the steep slope. 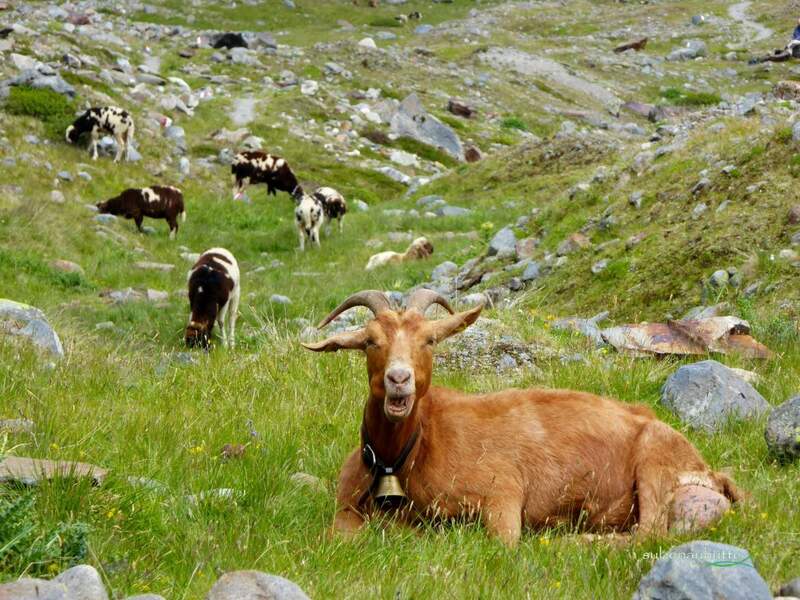 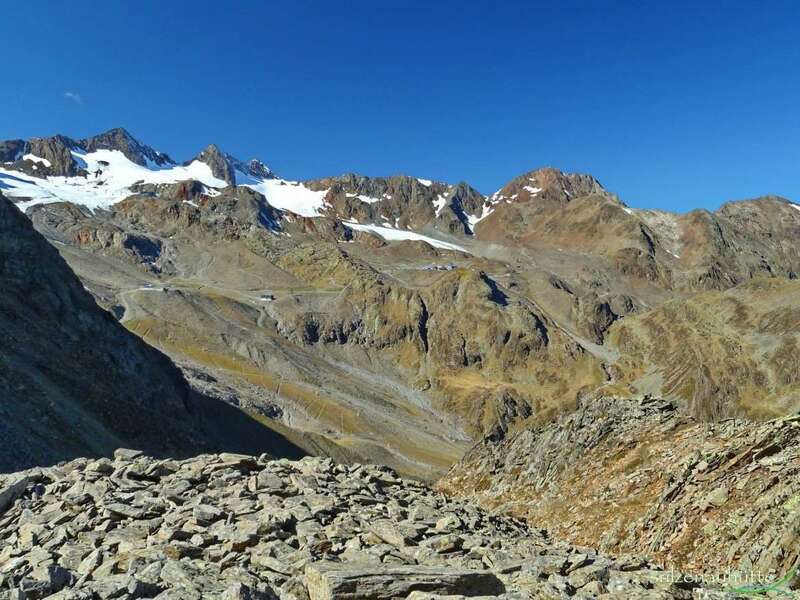 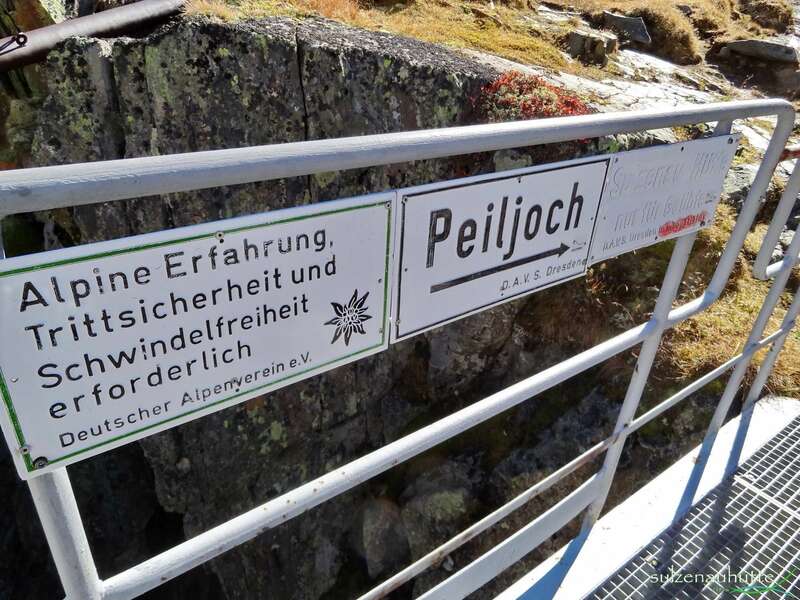 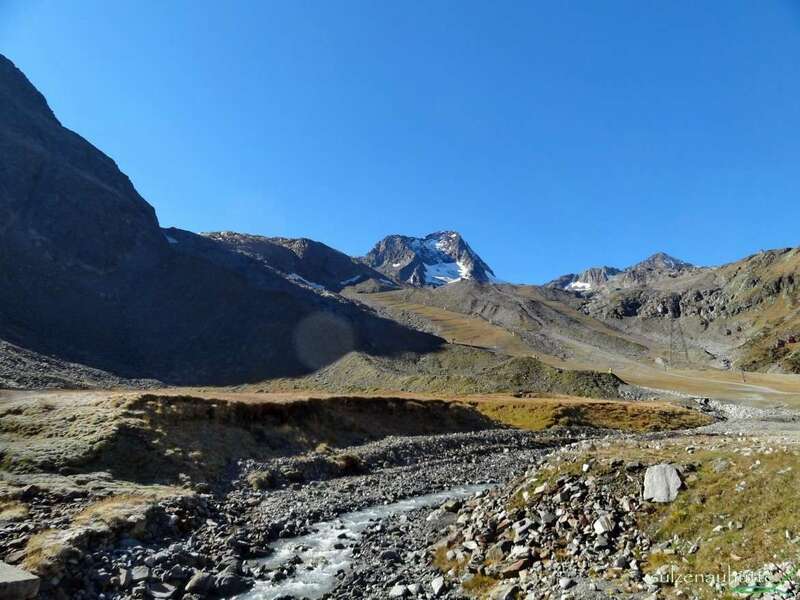 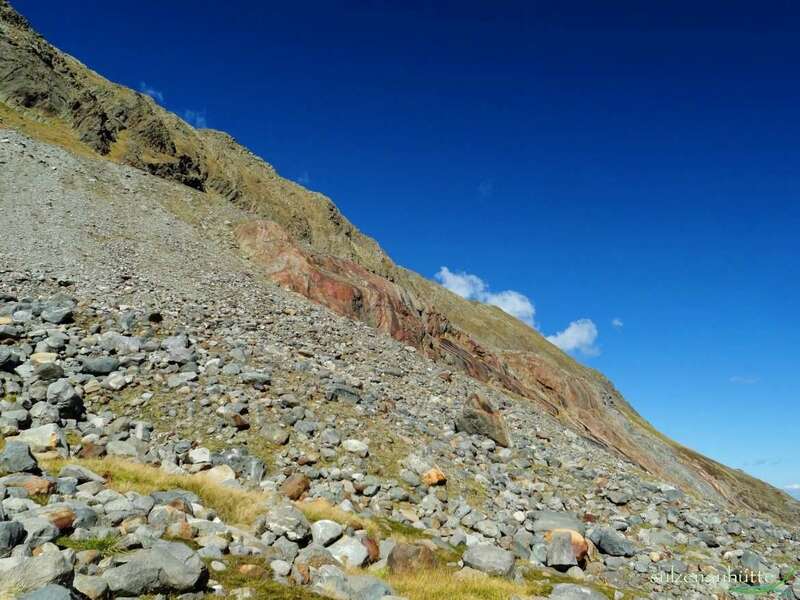 Hikers can also hike the Peiljoch via the WildeWasserWeg, which doesn’t add any extra time to the journey. 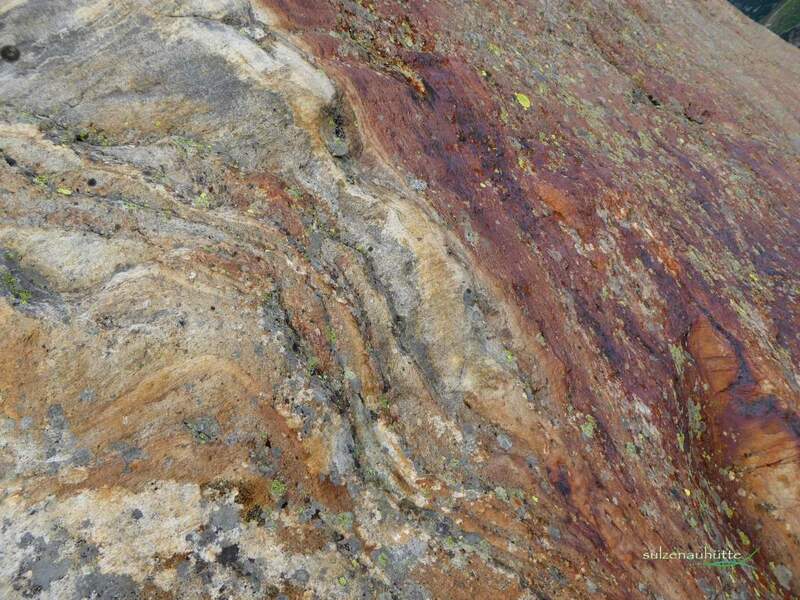 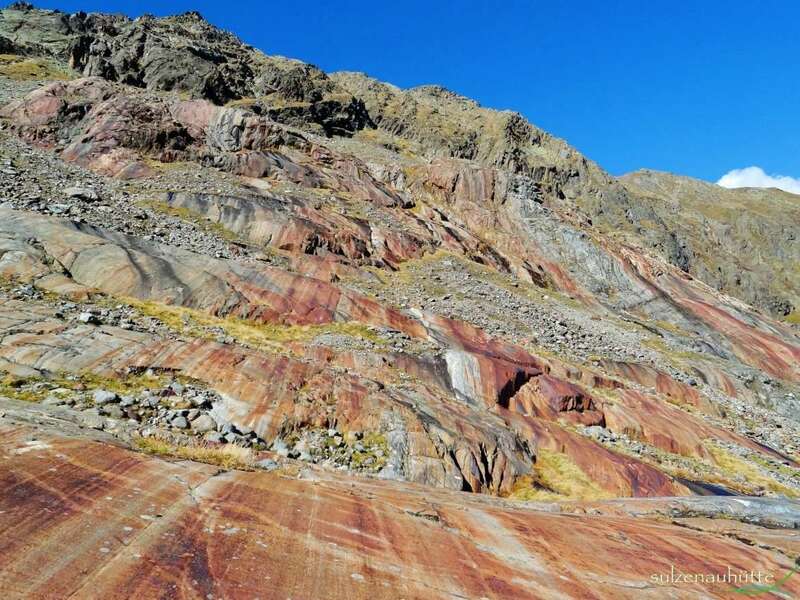 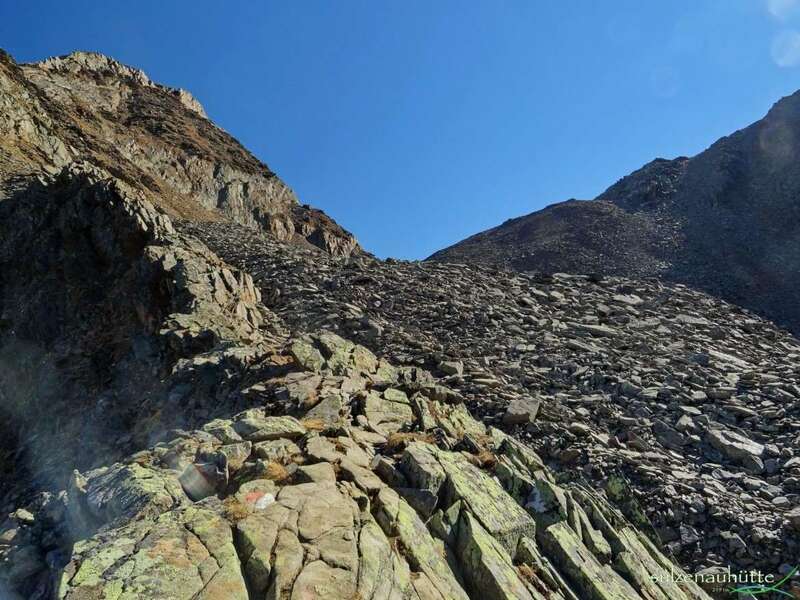 It also provides an alternative option for those hikers wishing to avoid steel footholds and safety cables. 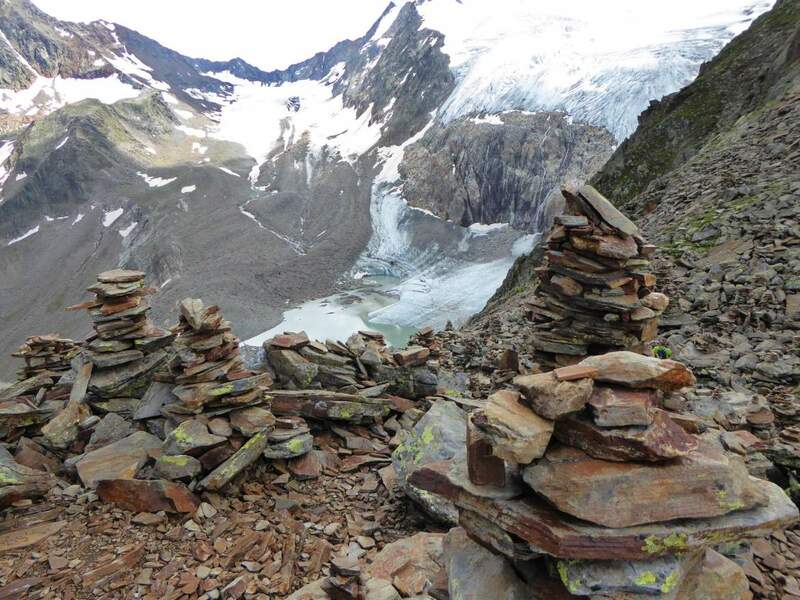 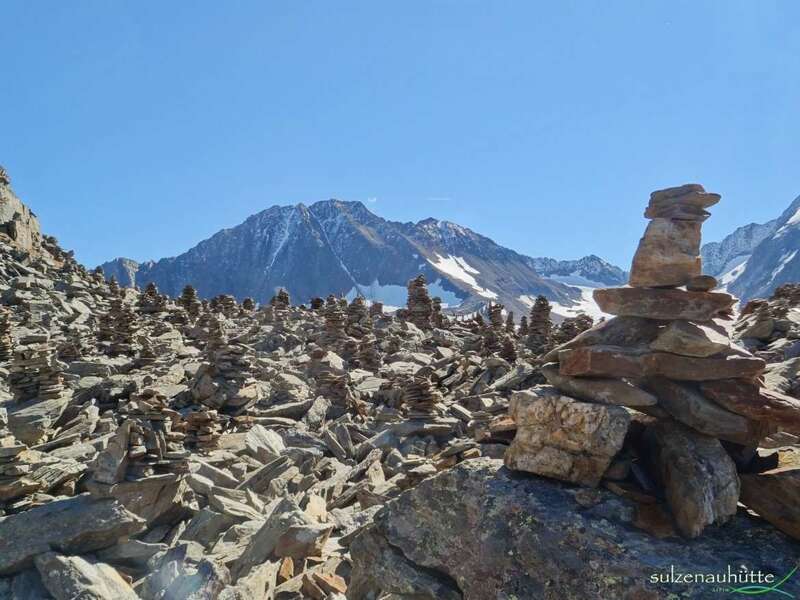 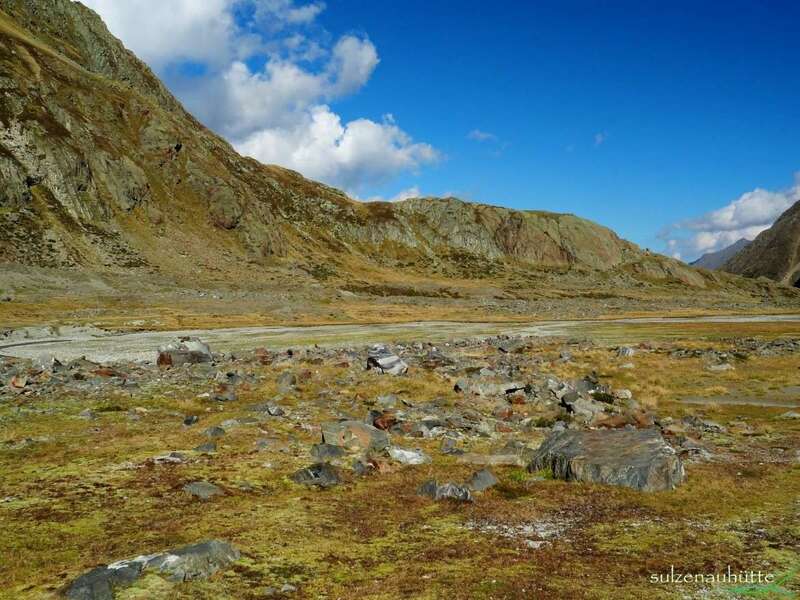 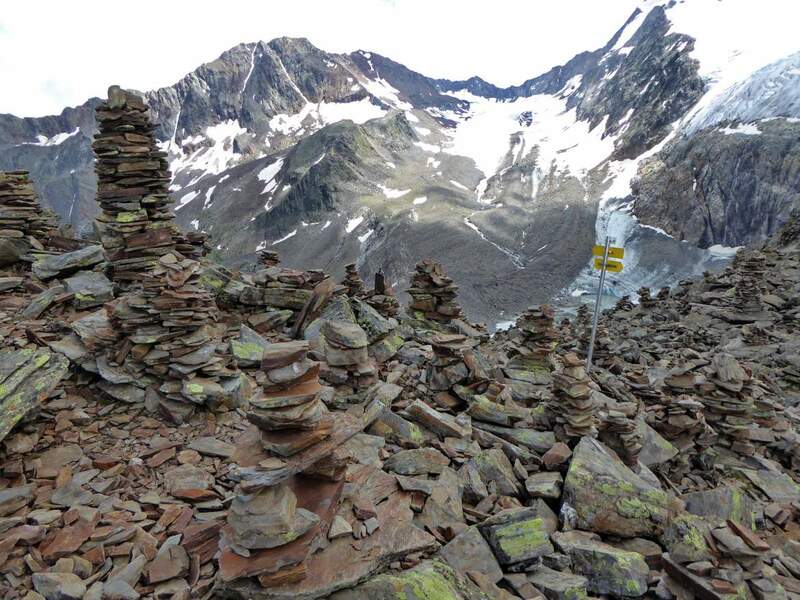 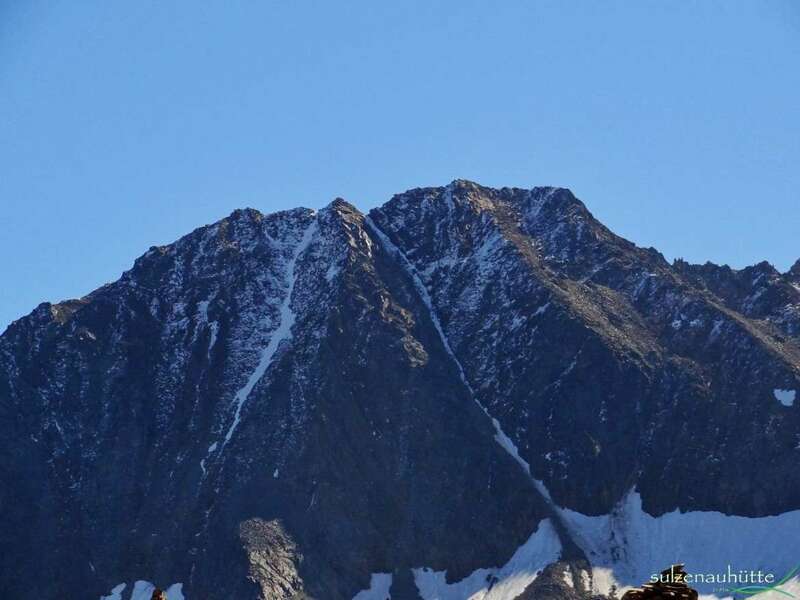 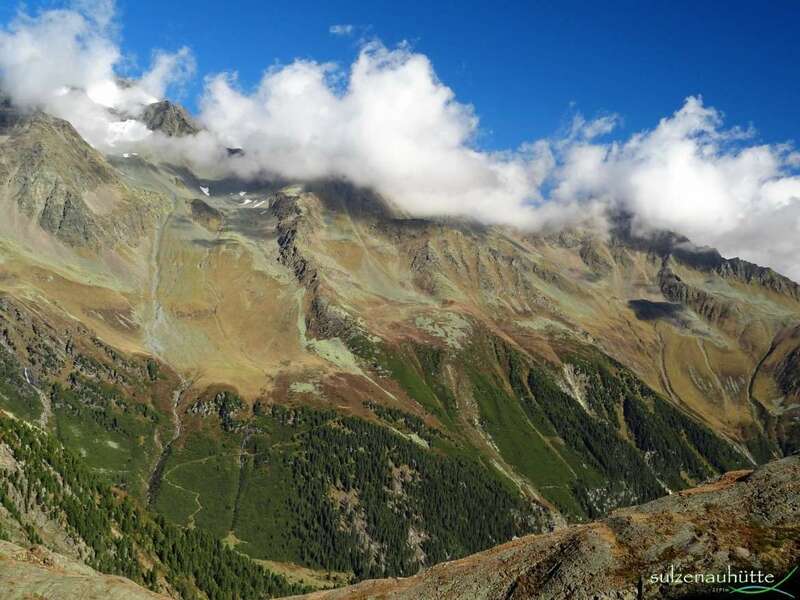 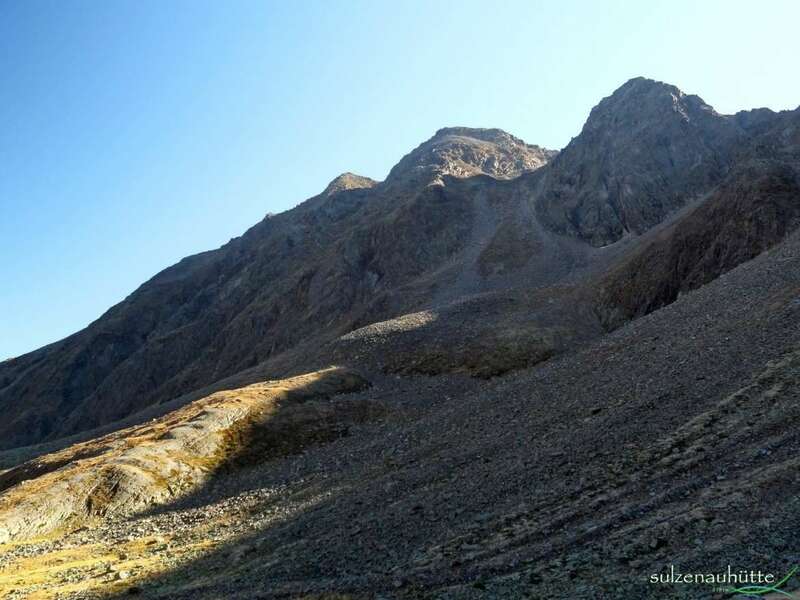 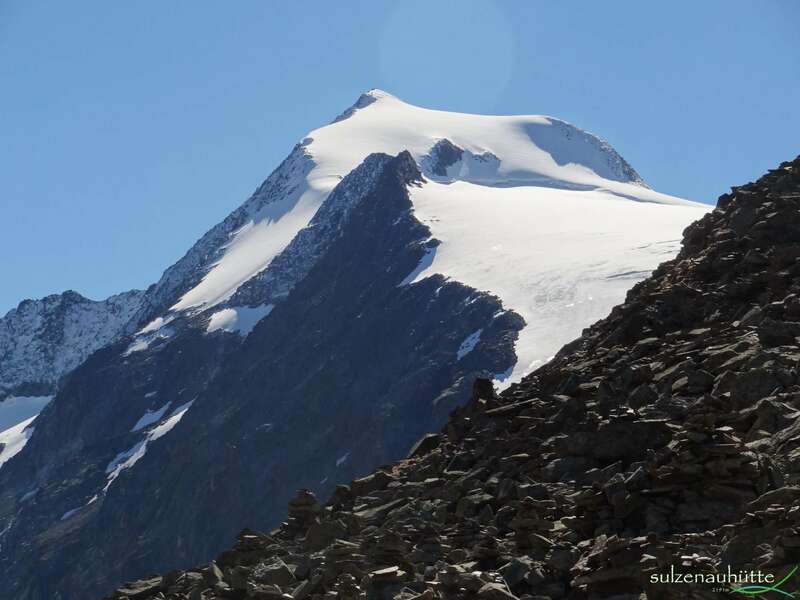 Pictures of the trail from Dresdner hut to Sulzenau hut.